The Gweithdy Restoration project is making excellent progress. The most recent working party finished yesterday. The picture below (apologies for the quality or lack of!) 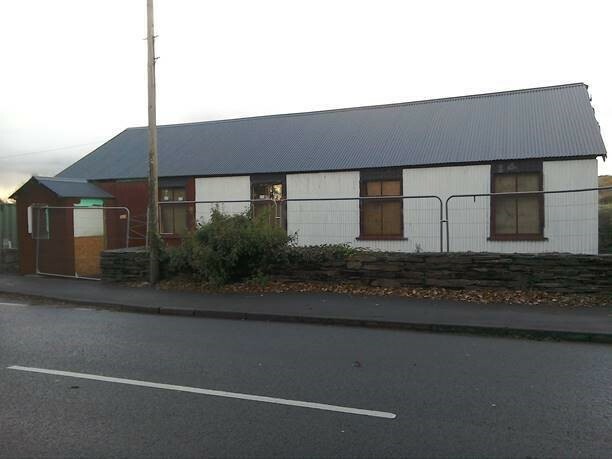 shows the roadside aspect of the building which has now had its new covering of corrugated sheeting and on part of it we have managed to get a first coat of cream. The old roof has been removed and replaced. I’m delighted that this has been done as I was worried that the rusty sheets would start to leak which would have spoiled the wonderful tongue and groove ceiling which is almost a hundred years old.